Poor training, complacency and a culture of excessive risk contributed to the deaths of four U.S. soldiers during an operation in Niger in October, according to a classified Pentagon report. The officials who described the report said it wouldn’t recommend punishment for anyone. The Niger village of Ayorou, about 40 km (25 miles) inside the border has been attacked. “They were heavily armed. They had rocket launchers and machine guns. They came in four vehicles each with about seven fighters,” and managed to make off with four Nigerien army vehicles, the first security source said. Gunmen on pick-up trucks and motorcycles coming from Mali killed 13 gendarmes and wounded five more in an attack on their base in western Niger, security sources said October 21. The village is a few dozen kilometers (miles) from where militants killed four U.S. soldiers in an ambush on Oct. 4. In Niger, France is said to operate four Mirage 2000 fighter jets and five Reaper drones for gathering intelligence. France currently has five unarmed Reaper reconnaissance drones positioned in Niger’s capital Niamey. A US private aviation contractor may have conducted evacuations of US and Nigerien troops after they were ambushed. Berry Aviation is presently fulfilling the terms of a three month bridge contract through the end of October 2017 that requires the firm to have one fixed wing aircraft and one helicopter situated in Niamey ready to go within three hours for operations throughout North and West Africa. US officials previously said that French military Super Puma helicopters evacuated the wounded Americans along with those killed in action while also providing covering fire. The wounded were first flown to the capital Niamey and later to Landstuhl Regional Medical Center in Germany. A 12-man Green Beret-led team had just completed a meeting with local leaders and were walking back to their unarmored pick-up trucks when the unexpected ambush resulted in a firefight that lasted 30 minutes until French Mirage jets arrived overhead to fly low passes in an attempt to disperse the attackers, but did not have permission to drop bombs. The team was in two separate locations when the attack began. Some were walking back from a meeting with local villagers. Others were waiting outside, guarding the vehicles that the US troops were using.”Had we anticipated this sort of attack we would have absolutely devoted more resources to it to reduce the risk and that’s something we are looking at right now,” US Africa Command spokesman added. US military launched a urgent search and rescue mission after electronic signals were monitored indicating the possibility that one of the US service members was still alive in the field. A large scale search and rescue operation involving US, French and Nigerien troops was launched soon after US officials realized one of the US service members was unaccounted for. Elite US Special Operations Forces troops were flown in from the continental US to aid in the recovery effort. US Navy SEALs were deployed to a US military base in Sigonella, Sicily in anticipation of a possible rescue attempt but never went into Niger. The US military initially issued a statement December 5 saying the attack left three US service members dead and two wounded. The body of a US service member who went missing following a deadly ambush September 4 in southwest Niger has been recovered.. The discovery of the missing US service member in a remote area of the northwestern African country by Nigerien troops comes nearly 48 hours after he was first discovered to be missing in the wake of the attack. The recovery of the missing US service member raised the number of US troops killed in Wednesday’s attack to four. The American service member, who has been identified by US military personnel, went missing after a group of US soldiers near the Niger-Mali border were attacked by up to 50 fighters that are thought to be likely affiliated with ISIS, a US official said. The 12-member US team was leaving a meeting in unarmored pick-up trucks when they began taking fire from small arms, machine guns and rocket propelled grenades, according to a US defense official. Non-standard Tactical Vehicles (NSTV or NTV), also known as Non-standard Commercial Vehicles (NSCV) are civilian 4×4 vehicles adapted for use by special operations forces. With window glass exploding all around them, the US soldiers, including multiple Green Berets, exited the vehicles, ran for cover, and began returning fire. It is unclear how the missing service member became separated during the firefight from the rest of the advisory team he was accompanying. None of the other soldiers involved in the engagement witnessed him being captured or taken away by enemy forces. The US military does not believe the missing service member was ever in enemy hands. In missions run out of a base in the northern Niger town of Arlit and others like the one that led to the ambush of U.S. troops, sources say they have helped local troops and intelligence agents make several arrests. 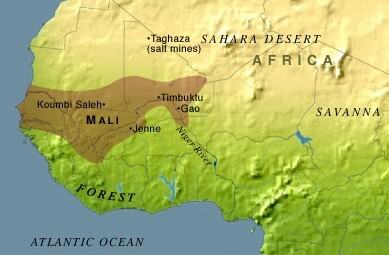 A joint Nigerien-American patrol was ambushed near the village of Tongo Tongo, approximately 17 miles from the border with Mali. A relatively new militant group called Islamic State in the Greater Sahara has claimed some of the attacks. In a letter to Congress in June, President Trump confirmed there were 645 military personnel deployed to Niger to support counterterrorism missions there.The strategic emphasis will now shift from Libya towards the Sahel band, stretching eastwards from Senegal to Chad. This site is believed to be a part of Aérienne 201. CAMP LEMMONIER, Djibouti – Approximately 300 deployed U.S. Soldiers, Sailors, Airmen, Marines, DoD civilians, as well as partner nations attended the Combined Joint Task Force – Horn of Africa (CJTF-HOA) 242nd Army Ball here June 17. 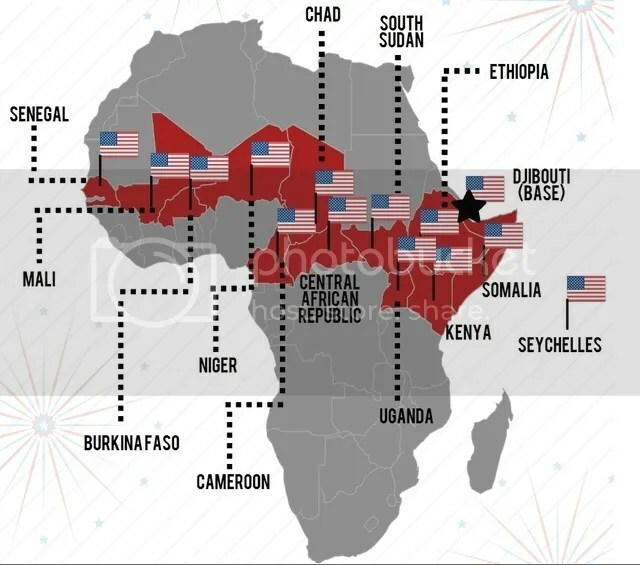 U.S. Navy Vice Admiral Michael Franken, a deputy commander of the Pentagon’s Africa Command, told a Washington forum last week that there now are 6,200 U.S. troops – most of them Special Operations Forces – operating from 26 locations on the continent. The widening U.S. military cooperation is a political victory for Buhari, who took office last year pledging to crack down on the rampant corruption that has undermined the armed forces in Africa’s most populous country. The U.S. administration is seeking to approve a sale of as many as 12 A-29 Super Tucano light attack aircraft to Nigeria to aid its battle against the extremist group Boko Haram, U.S. officials say, in a vote of confidence in President Muhammadu Buhari’s drive to reform the country’s corruption-tainted military. Washington also is dedicating more intelligence, surveillance and reconnaissance assets to the campaign against the Islamist militants in the region and plans to provide additional training to Nigerian infantry forces, the officials told Reuters, speaking on condition of anonymity to discuss the administration’s plans. “Boko Haram has morphed back in to what it had earlier been, not a holder of large amounts of territory, but rather a generator of asymmetric attacks,” the second official said. The latest reports from South African media and the Reuters news agency suggest that the use of mercenaries is far more extensive than previously known. Several hundred mercenaries – including pilots of helicopters and fighter jets – are believed to be involved in the battle against the Boko Haram insurgents. At least one has already been killed. Hired men from South Africa and the former Soviet Union are deployed in the Nigerian theatre of war and some are armed. Some have been helping train the Nigerian troops on how to use the recently acquired military equipment including helicopter gunships, tanks and armoured vehicles. But the South African authorities suspect this is cover for illegal mercenary work. For the Nigerian government, the issue of mercenaries is a sensitive one and adds to the already difficult job of explaining why it ever became necessary for the neighbouring armies of Chad, Niger and Cameroon to deploy inside Nigeria. It is against the law for South Africans to fight overseas for private gain. No serving members of South Africa’s armed forces were in Nigeria. 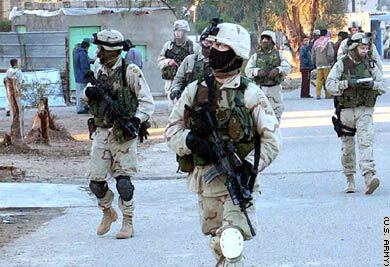 Paratroopers assigned to the 82nd Airborne Division’s Company B, 1st Battalion, 505th Parachute Infantry Regiment, conduct a dismounted patrol in Fallujah, Iraq, in January 2004. Up to 1,300 more U.S. troops, including approximately 1,000 soldiers from the Army’s 82nd Airborne Division, will begin to deploy to Iraq in late January, Pentagon Press Secretary Navy Rear Adm. John Kirby said today. 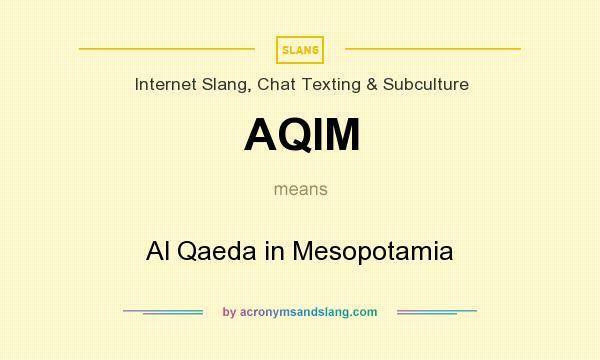 2007: Al Qaeda in Mesopotamia, a Sunni Arab extremist group that claims to have an affiliation with Osama bin Laden’s network, though the precise relationship is unknown. Officials say that Mr. Gates has been quietly pressing for a pullback that could roughly halve the number of combat brigades now patrolling the most violent sections of Baghdad and surrounding provinces by early next year. The remaining combat units would then take up a far more limited mission of training, protecting Iraq’s borders and preventing the use of Iraq as a sanctuary by Al Qaeda in Mesopotamia, a Sunni Arab extremist group that claims to have an affiliation with Osama bin Laden’s network, though the precise relationship is unknown. JOINT BASE LANGLEY-EUSTIS, Va. Airmen based here at the 480th Intelligence, Surveillance and Reconnaissance Wing pore over video taken from drones and other data, such as intercepted cell phone conversations and radar images, to help develop a picture of ISIS activity that can be used to target their fighters, according to Col. Timothy Haugh, the wing’s commander. Most of the 6,000 analysts here and at other sites around the world are young — in their 20s — and work 12-hour shifts for three or four consecutive days. 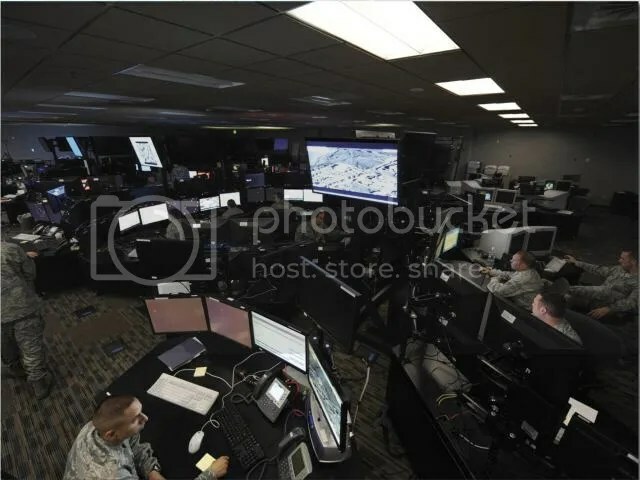 They sit in a sprawling, dark complex filled with nests of plasma screens with feeds from Predator drones, U-2 spy planes and lines of chat conversations with pilots. The analysts at Langley, none of whom would be identified by full name for publication for fear of retaliation, deal with issues largely unique to their profession. Watching traumatic events, such as ISIS massacres, unfold on their computer screens has led to rates of post-traumatic stress that are slightly higher than average, said Lt. Col. Cameron Thurman, the wing’s surgeon. To help keep the airmen calm, a therapy dog, a yellow Labrador retriever named Lily, walks the floor. Monitoring video feeds from a Predator drone for a single person to move means hours of sitting in the same position, Thurman said. That has led to chronic lower-back problems among analysts and the need to work on core strength. RAF has been flying Boeing RC-135V/W Rivet Joint system to provide real time on scene intelligence, surveillance and analysis to forces in the air and on the ground over northern Iraq during the humanitarian crisis there. The Rivet Joint intelligence gathering aircraft has been deployed to boost a team of Tornado jets gathering intelligence as Kurdish forces battle against Islamist militants in the region. Information picked up by British forces is being fed back to the Iraqi government, Kurdish fighters and US forces in the region as they try to stem the tide of the Islamic State (IS) advance. RAF Tornado jets have been flying missions over vast areas in northern Iraq, aided by larger Voyager planes that help them refuel at 300mph. The Aerostar unmanned aerial vehicles (UAVs) acquired by the Nigerian Air Force (NAF) in 2006 have reportedly been grounded due to a lack of maintenance, limiting surveillance operations against Boko Haram militants. The nine Aerostar UAVs were acquired in 2006 and 2007 from Aeronautics Defense Systems (ADS), a company based in the Israeli capital Tel Aviv in a contract which also included the supply of unmanned patrol boats to the Nigerian Navy, bringing the net value of the contract to $260 million. Israeli newspaper Haaretz quoted ADS marketing officer Tsur Dvir and military and diplomatic sources as saying that the Nigerian UAVs became inoperable five year ago due to poor maintenance. Signs are growing that some Nigerian troops are near mutiny, complaining they are overwhelmed and outgunned by Boko Haram. Soldiers in the ranks actually fight alongside the group. Last year, Jonathan said he suspected that Boko Haram members and sympathizers had infiltrated every level of his government and military, including the Cabinet. That complicates attempts to share intelligence. The U.S., France and Britain have all sent experts to help find the girls, but French and American officials have expressed concerns about how any information might be used. Imagery from U.S. surveillance drones and satellites May 12-17 has shown suspected bands of Boko Haram militants setting up temporary camps and moving through isolated villages and along dirt tracks in northeastern Nigeria. U.S. options are limited. A 1997 law prohibits American forces from working with foreign military units that have been accused of chronic human rights violations. The law has prevented U.S. officials from dealing with a Nigerian counter-terrorism unit that has experience tracking Boko Haram, officials said. The US Department of Defense (DoD) is deploying a team of ten US Africa Command (AFRICOM) personnel to assist the Nigerian Government in the search of the schoolgirls abducted by terrorist group Boko Haram. American military personnel are there to advise and assist with communications, logistics, and intelligence. Foreign internal defense (FID) is a term used by a number of Western militaries, including the United States, France and the United Kingdom, to describe an approach to combating actual or threatened insurgency in a foreign state called the Host Nation (HN). Especially when the HN government, the insurgency, and the FID force come from different cultures, careful thought needs to be given both to the way the parties perceive the rules, and the ways the communicate their agreement to one another.Especially when the HN government, the insurgency, and the FID force come from different cultures, careful thought needs to be given both to the way the parties perceive the rules, and the ways the communicate their agreement to one another. A manned twin-engine turboprop aircraft — the MC-12W Liberty — has begun flying surveillance missions over Nigeria. The arrival of the intelligence assets in Nigeria comes as the leader of Boko Haram, Abubakar Shekau, released a video of at least some of the captured schoolgirls. The MC-12W Liberty aircraft is an intelligence, surveillance and reconnaissance (ISR) aircraft of the United States Air Force (USAF). An asset owned by the Joint Forces Air Component Commander, the aircraft’s key mission is to provide ISR services to the ground forces. A medium-altitude manned vehicle, the MC-12W is based on the Hawker Beechcraft King Air 350 and King Air 350ER models, which are variants of the C-12 series. The aircraft is an augmentation of the two King Air models to include ISR capabilities. President Barack Obama ordered about 150 troops and at least four CV-22 aircraft to Uganda on March 23, marking the first time the U.S. has sent military planes to find Kony and his fighters. The search is focused on the jungles straddling the borders of the Central African Republic, South Sudan and the Democratic Republic of Congo. The Pentagon said the U.S. troops are tasked with providing information and assistance, and are armed only for self-defense. The US has established a military co-ordination cell in Somalia to provide planning and advisory support to the African Union Mission in Somalia [AMISOM] and Somali security forces to increase their capabilities and promote peace and security,” said US Africa Command spokesman, Colonel Tom Davis. The team was launched in October and became fully operational in December. It is based at Mogadishu airport. 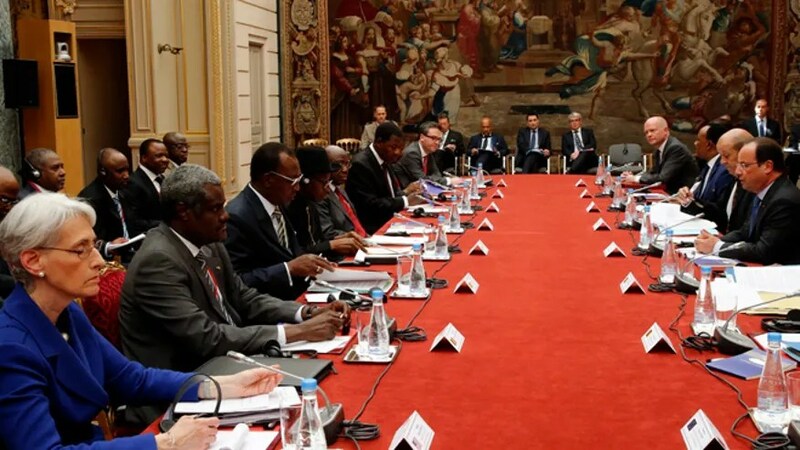 A big step forward to normalisation of relations with Somalia. A US defence official told Al Jazeera that the team numbers “fewer than five” troops but was a “big step forward to normalisation of relations with Somalia”. Since the 2011 withdrawal, the number of U.S. military advisers in Iraq has steadily risen to as many as 200. In response to the fatal attack on the American diplomatic mission in Benghazi, Libya, in 2012, the Pentagon created a 150-member rapid response force in Djibouti in the Horn of Africa, and sent 500 Marines to a base in Spain, positioning troops, aircraft and military equipment closer to potential conflicts. a team of 45 soldiers from the larger force in Djibouti was sent to Juba, the South Sudanese capital, on Dec. 18 to reinforce the seven Marines and State Department officers providing security at the embassy. Soldiers from the East Africa Response Force, assigned to U.S. Africa Command and under the command and control of Combined Joint Task Force-Horn of Africa, will continue to provide security reinforcement to the U.S. Embassy in Juba, according to an AFRICOM statement. RAF Sentinel aircraft, one of five heavily modified Bombardier Global Express long-range business jets assigned to the Royal Air Force’s 5 Sqn, is in Dakar, Senegal to provide a unique intelligence capability in support of French operations within Mali. The asset will provide reconnaissance information by using its dual-mode sensor payload, which comprises a synthetic aperture radar and ground moving target indication capability. Images released by the RAF identify the deployed aircraft as ZJ694. This is the youngest of the service’s Sentinel fleet, with Flightglobal’s MiliCAS database showing it was delivered in 2004. 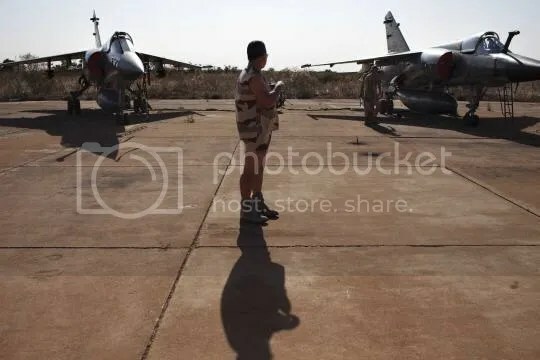 While the RAF has not disclosed its current location, media reports suggest the aircraft was flown to Dakar in Senegal. 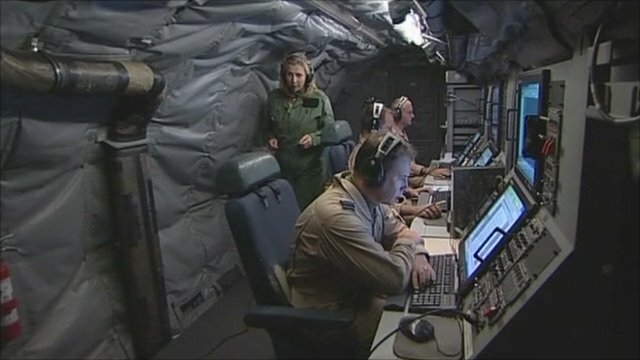 Sentinel aircraft have supported the UK’s involvement in Afghanistan and also took part in the NATO-led campaign over Libya in 2011. The type is home-based at RAF Waddington in Lincolnshire. French soldiers leave a U.S. Air Force C-17 Globemaster III in Bamako, Mali, Jan. 23, 2013. “Less than 10” U.S. Air Force personnel were sent to Bamako last week to handle the flights that began arriving over the weekend, a Pentagon official said. George Little, the Pentagon’s chief spokesman, stressed that the small Air Force contingent was not a precursor to U.S. combat involvement. “Boots on the ground is a different question,” Little said in repeating the assertions of Defense Secretary Leon Panetta that the U.S. supported France in the drive against the rebels but would not send combat troops. Little said the airmen were limited to the relatively safe environs of the Bamako airport. “We are confident that security can be maintained at this airfield,” Little said. The French military has little airlift capacity and France has been hard-pressed to maintain air support for the 2,500 French troops now on the ground in Mali. Britain and Canada began aiding the French with their own C-17 flights earlier this month but the U.S. C-17 flights started only after what reportedly was the heated rejection by French Defense Minister Jean-Yves Le Drian of U.S. requests that France reimburse the U.S. for the help. Little said that the U.S. for now would not ask for payment. “We’ve made the decision at this time not to seek compensation or re-imbursement,” Little said, adding that there were no initial estimates on the costs of the airlift. The French also need U.S. help for aerial refueling of their Rafale and Mirage attack aircraft that have been making long-haul flights from France and bases in Chad to bomb rebel positions. Little said no decisions have been made on whether to commit aerial tankers from the U.S. European Command to the effort. Little would not confirm whether U.S. drones were also aiding the French with reconnaissance missions over Mali. “We are sharing intelligence with the French,” Little said, but he would not provide specifics. “We have started air lifting French army personnel and equipment to Bamako from Istres,” said Benjamin Benson, a spokesman for U.S. Africa Command (AFRICOM). Another Pentagon spokesman said the U.S. flights were helping to carry a French mechanized infantry unit to Mali. Little said the United States had been providing France with intelligence since the outset of the operation, and was reviewing a request for aerial refueling tankers. The total hostage death toll now stands at up to 48 with more bodies to process. Hundreds set free. The Algerian government said that 32 militants were killed in the hostage recovery mission, with at least 11 executed during the ‘final assault’ on Al Qaeda-linked gunmen. The fact that the target of the attack was a gas plant operated in part by foreign companies may have made Algeria particularly keen to tackle the problem on its own terms. The idea that the Algerian elite and their foreign allies might be the main beneficiaries of large oil and gas profits is a common complaint among Algerians. “It’s important for [the authorities] to show to a domestic audience that they’re not beholden to the international community, that they actually control their own hydrocarbon resources – that they’re not just a puppet government,” said Mr Parks. UK Defence Secretary Philip Hammond confirmed the crisis was over and that lives had been lost. At a joint news conference with his US counterpart Leon Panetta, Mr Hammond said the loss of life was “appalling and unacceptable and we must be clear that it is the terrorists who bear sole responsibility for it”. 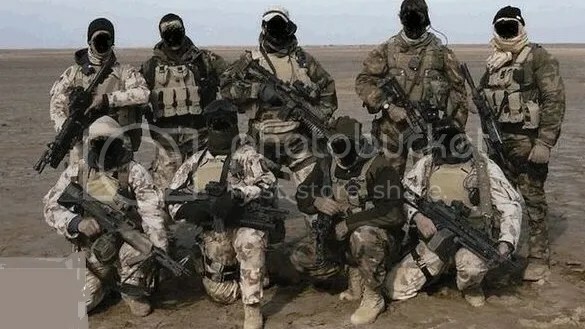 Latest rumour:On the morning of Saturday, the terrorists have lost all hope to leave with the last seven hostages began to run some of them, pushing ANP special forces to intervene. In fact, the terrorists were preparing for a mass suicide attempt. The involvement of elements of the ANP has neutralization. Unfortunately the hostages were already executed. A press conference will be held incessement to explain the circumstances of the assault elements of the ANP. The United States will not seek a deal with hostage-takers at the In Amenas facility, a state department spokeswoman said in a daily briefing. The U.S. State Department says one American, Frederick Buttaccio, had died but gave no further details. It became clear the Algerian forces had retaken only the living quarters. Hostages and their kidnappers remained ensconced in the refinery. “The United States does not negotiate with terrorists,” spokeswoman Victoria Nuland told reporters. Mauritania’s ANI news service earlier reported that militants at the gas facility had offered an exchange of American hostages for inmates held in US prisons. Meanwhile the Associated Press reports that the State Department has confirmed that American hostages are still being held at the facility. The British government is flying a team of consular staff and intelligence analysts from MI6 and MI5 to Algiers to help secure the release of the Britons involved in the ongoing hostage crisis. The entourage is understood not to include members of the special forces, though the UK has continued to offer technical and logistical support, as well as experts in hostage negotiation. Two Britons and two Filipinos were killed. Two others, a Briton and an Algerian, died on Wednesday when the militants ambushed a bus that was taking foreign workers at the facility to the local airport. Five American hostages had survived and had left the country, US officials said The events at the plant brought back memories of the North African nation’s bloody civil war against Islamist extremists in the 1990s. The war had begun in 1991 when the Algerian army canceled parliamentary elections after it looked like an Islamist party, the Islamic Salvation Front, was about to gain a majority. Algeria’s Communications Minister Mohamed Said stated combat operations had “ended,” but he said efforts to free some hostages were continuing. 15 foreigners, including two French citizens, had escaped the besieged BP/Statoil gas compression plant deep in the Sahara desert. The U.S. has information indicating Americans are among the captives. “We do not yet have confirmed information on the status of the personnel at the site but believe some are being held by the occupiers,” the company said in a statement issued in London. In 2003, Statoil acquired 50% of BP`s initial interest in the In Amenas project. One of the Norwegians who witnessed the attack at close range said the Islamics first attacked a bus carrying employees who were on their way to the airport. – We were just two hundred meters from the camp when they came out of the darkness and shot at us at around 5:50 local time. The man said that the guards at the plant hit attack back quickly, so that they could run on. He is now in a military camp and says he feels safe there. In Amenas is a wet gas field operated through a joint venture between Sonatrach, BP and Statoil. The U.S. believes AQIM members are fighting in Mali alongside rebels whose affiliations and intentions are less clear-cut. Some of these less-radical factions may be open to negotiations, the officials said. In Libya, the U.S. decided to act against a clear-cut enemy, the Gadhafi regime; in Syria, the U.S. has been reluctant to deliver aid to a multifaceted rebel coalition that officials worry could have links to al Qaeda. The U.S. response to the situation in Mali also reflects the growing U.S. reluctance to get involved in conflicts unless there is evidence of U.S. interests at risk, said Seth Jones, an al Qaeda specialist at Rand Corp. “The U.S. will be deeply reluctant to get into the fight directly,” he said. Gen. Carter Ham, the head of U.S. Africa command, said in an interview January 15 that the French campaign “may prove to be decisive,” but that it wouldn’t end after a few days of airstrikes. “My sense is that the French are committed and understand this will not be a short-term campaign,” Gen. Ham said. Jan.13, 2013 photo provided by the French Army Monday Jan.14, 2013 shows a French Rafale jetfighter landing after a mission to Mali in N’Djamena, Chad. French fighter jets bombed rebel targets. Overnight, January 15, a regiment of 150 French soldiers drove overland from neighboring Ivory Coast, bringing in a convoy of 40 armored vehicles, including the ERC-90, a tank-like car, mounted with a 90 mm cannon. Britain’s Ministry of Defense confirmed January 15 that their RAF C17 aircraft carrying French military personnel and supplies had arrived in the capital, Bamako. Four Rafale fighter jets were quickly moved January 13 from their base in Saint-Dizier France to Mali, where they began bombing operations. A Danish Air Force C-130 Hercules transport plane will head to Mali to assist the country’s embattled government and their French allies in their battle against Islamic rebels. The plane is scheduled to be deployed to Mali for three months and will cost the state about 11 million kroner. The French fixed-wing aircraft are performing long-range strike missions after flying from N’Djamena air base in Chad. helicopters coming in from bases in Burkina Faso, and special forces and Legionnaires from Côte d’Ivoire, Chad, Burkina, and France. The French are using Mirage jets stationed in Chad, which are able to carry 250-kilogram (550-pound) bombs. Four Mirage 2000D fighter jets, based in Chad, and supported by two C135 refueling tankers. In total, France has two Mirage F1 CR reconnaissance jets, six Mirage 2000D, 3 C135s, one C130, 1 Transall C160 stationed in Chad as part of its Operation Epervier. The first of the two C17s left RAF Brize Norton in Oxfordshire on January 13 and was loaded with French armoured vehicles and other equipment at the Evreux airbase in Normandy overnight. It was due to fly to Mali’s capital, Bamako, on January 14morning, but has been delayed due to a “minor technical fault”, a Ministry of Defence spokesman said. The problem is thought to be a short-term one and the plane is expected to be ready to depart later. A second C17 is due to leave the UK at 14.00 GMT. “We have the impression that Tunisia is becoming a corridor for Libyan weapons to these regions,” said a Tunisian spokeman, whose country borders Libya but not Mali. He was referring to arms from the arsenal of former Libyan strongman Moamer Kadhafi that he said are reaching Insurgents in northern Mali via Tunisia and Algeria, the latter of which shares borders with Mali. 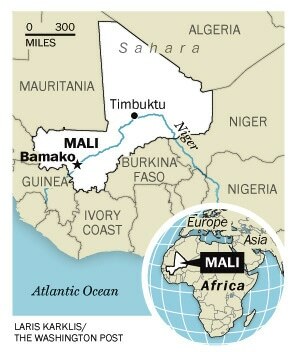 A U.S. official confirmed that America will be sending drones to aid Mali against rebels. The United States is providing communications and transport help, while Britain is sending C17 aircrafts to help Mali’s allies transport troops to the frontlines. None of this involves U.S. boots on the ground. Refueling will be for flights coming down from France. Intel will consist of long range reconnaissance, although it is still unclear whether that will be provided by drones or not. The Insurgents, including three separate rebel groups, are armed with weapons stolen from the abandoned arsenal of ex-Libyan leader Moammar Gadhafi. “They obtained from Libya modern, sophisticated equipment, much stronger and more efficient than we had imagined,” he said. Algeria has authorised the overflight of its territory, for which I thank them,” Fabius said, according to AFP. He adding that France was hopeful Algeria would provide further help to the campaign by denying Islamist radicals an escape route from the north of Mali. Algeria had been the most reticent of Mali’s neighbors about the prospect of foreign troops being sent in to reclaim control of the north of the country, which the Islamists have occupied for some nine months. [June 24, 2012]A “mystery airstrike” targeted a convoy of the “Yahya About al Hammam Brigade,” a unit of al Qaeda in the Islamic Maghreb operating in northern Mali, and killed seven fighters. US intelligence would neither confirm nor deny the reported strike. If confirmed, this would be the first known drone strike in Mali by the US since Ansar Dine, an AQIM-allied group, and the National Movement for the Liberation of Azawad took control of Northern Mali. The two groups announced their merger and the formation of a breakaway state in late May, but reports of discord between the groups over the imposition of sharia law have surfaced since that time. The US has used drones elsewhere in Africa, including in Somalia against Shabaab, al Qaeda’s affiliate in Somalia/East Africa, and in Libya during the NATO intervention. Militants in Timbuktu from “Ansar Dine and al Qaeda groups” are becoming concerned about the increasing presence of surveillance aircraft in the area, and have begun using heavy weapons against them, but so far without success. The three soldiers riding through Bamako Mali in April had rented their 2010 Toyota Land Cruiser from a local agency, according to written statements by the Special Operations Command at Fort Bragg. Bast was in the driver’s seat and was headed south across the Martyrs Bridge. Preliminary investigative results determined that he lost control of the Land Cruiser, which broke through the bridge’s guard rail and landed in the river below. Also in the vehicle were three Moroccan women, according to the Army’s statement. Contributing factors in the accident, the Army said, were limited visibility and “a probable evasive maneuver on the part of the vehicle’s driver to avoid impacting with slower moving traffic.” Officials from the Africa Command also said that they did not know who the women were, but they added in a statement: “From what we know now, we have no reason to believe these women were engaged in acts of prostitution.” An Army spokesman described Bast as a “communications expert” and said he was posthumously given the Meritorious Service Medal but declined to say why. Master Sgt. Trevor J. Bast, 39, a communications technician with the Intelligence and Security Command at Fort Belvoir. The Intelligence and Security Command is a little-known and secretive branch of the Army that specializes in communications intercepts. Its personnel often work closely with the military’s Joint Special Operations Command, which oversees missions to capture or kill terrorism suspects overseas. Under a classified program code-named Creek Sand, dozens of U.S. personnel and contractors were deployed to West Africa to conduct surveillance missions over the country with single-engine aircraft designed to look like civilian passenger planes. The unarmed U.S. spy planes fly hundreds of miles north to Mali, Mauritania and the Sahara, In addition to Burkina Faso, U.S. surveillance planes have operated periodically out of nearby Mauritania. In Central Africa, the main hub is in Uganda, though there are plans to open a base in South Sudan. In East Africa, U.S. aircraft fly out of bases in Ethi­o­pia, Djibouti, Kenya and the Indian Ocean archipelago of the Seychelles. The bulk of the U.S. surveillance fleet is composed of single-engine Pilatus PC-12s, small passenger and cargo utility planes manufactured in Switzerland. The aircraft are not equipped with weapons. They often do not bear military markings or government insignia. The Pentagon began acquiring the planes in 2005 to fly commandos into territory where the military wanted to maintain a clandestine presence. The Air Force variant of the aircraft is known as the U-28A. 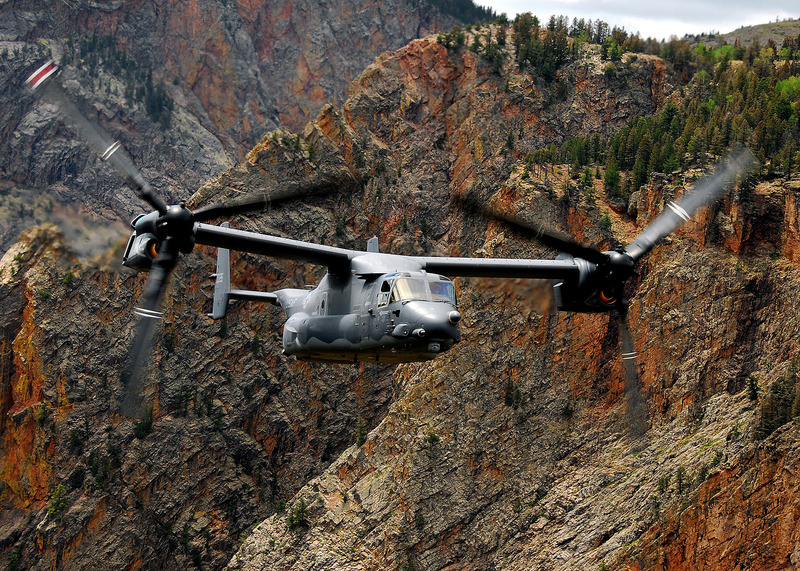 The Air Force Special Operations Command has about 21 of the planes in its inventory. 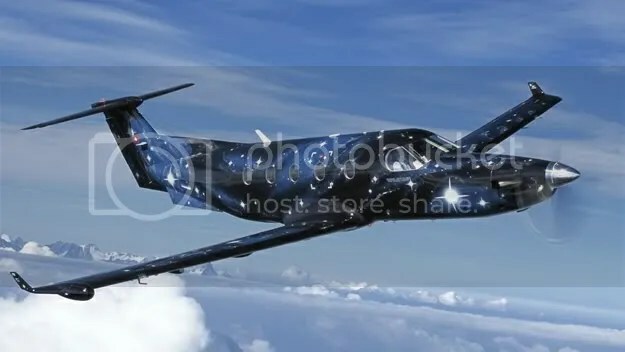 To scour the terrain for Joseph Kony, the messianic and brutal leader of a Ugandan rebel group The Lord’s resisitance Army, the aircraft used are Pilatus PC-12s, turboprops favored by the U.S. Special Operations forces for stealth missions precisely because of their nondescript appearance. There is no hint that they are carrying high-tech sensors and cameras that can film man-size targets from 10 miles away. The contractors supply the aircraft as well as the pilots, mechanics and other personnel to help process electronic intelligence collected from the airspace over Uganda, Congo, South Sudan and the Central African Republic. The U.S. military has taken another unusual step: It has largely outsourced the spying operation to private contractors. The contractors supply the aircraft as well as the pilots, mechanics and other personnel to help process electronic intelligence collected from the airspace over Uganda, Congo, South Sudan and the Central African Republic.Late last month, however, the Senate Armed Services Committee passed a measure authorizing $50 million for the Defense Department to “enhance and expand” surveillance operations to help Ugandan and other regional militaries search for Kony. A congressional staff member said the legislators’ priority was to increase and improve the surveillance operations as quickly as possible, adding that Congress was not necessarily opposed to using private companies for the Kony manhunt. 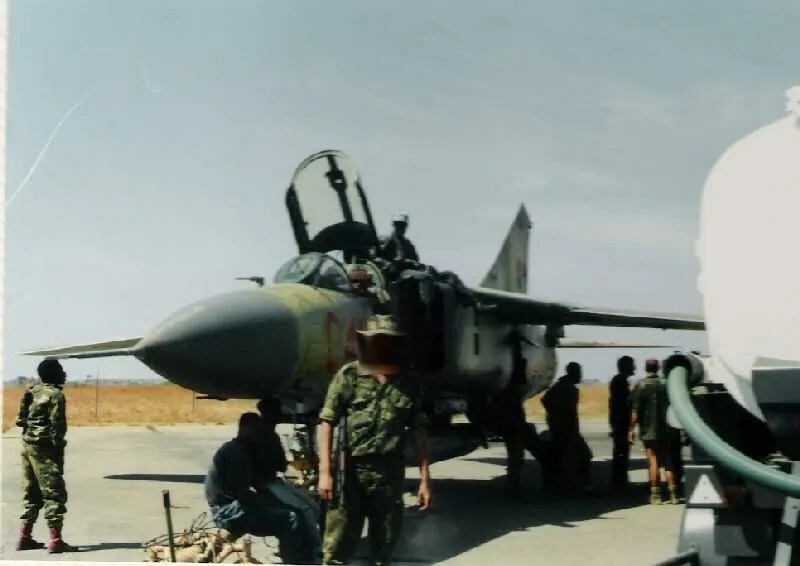 This entry was posted in Uncategorized and tagged 82nd Airborne, Abubakar Shekau, amenas, american boots, americans, AQIM, Bamako, Bayji, Boeing RC-135V/W Rivet Joint, Boko Haram, BP algeria, C-17 in Bamako, captured schoolgirls, casualties, chad, CV-22, defeat IS, Executive Outcomes, Fatih Ozmen, France. U.S. drones, green berets, hostages, hostages executed, hostages survive, imagery, Intelligence and Security Command, Islamist, islamists, Joint Special Operations Command, joseph kony, krg, kurd, langley intelligence center, Mali, minimum, nigeria hires mercenaries, norway, Ouagadougou, Paveway IV, Pilatus PC-12, R4 Inc, RAF, RAF Sentinel, rafale, Sierra Nevada Inc, statoil, sunni, surveillance aircraft, Tongo Tongo ambush, Tornado jets, total hostage death, Trevor J. Bast, tucano, U.S. Air Force, Voyager plane, western accord 2016. Bookmark the permalink.